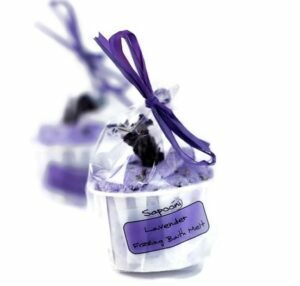 Little pots of bathtime loveliness, gorgeously scented with Jasmine and Vanilla, studded with real jasmine flowers, and luxuriously formulated with oodles of skin-nourishing Cocoa Butter. 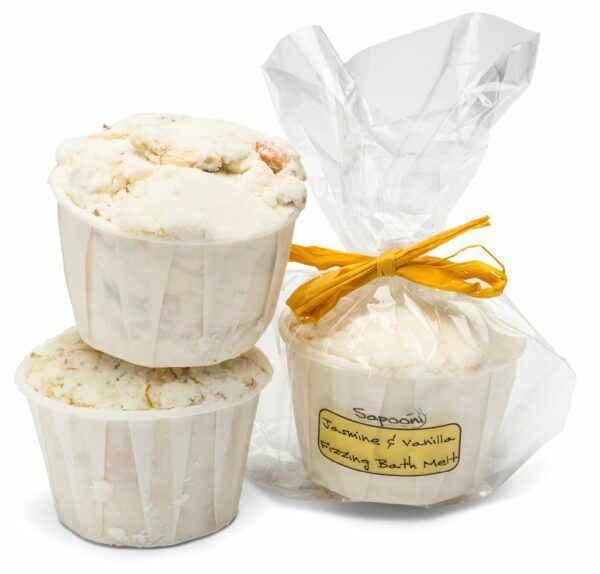 With the uplifting, exotic scents of Jasmine and Vanilla, and studded with dried Jasmine flowers, these are a luxurious bathtime treat. 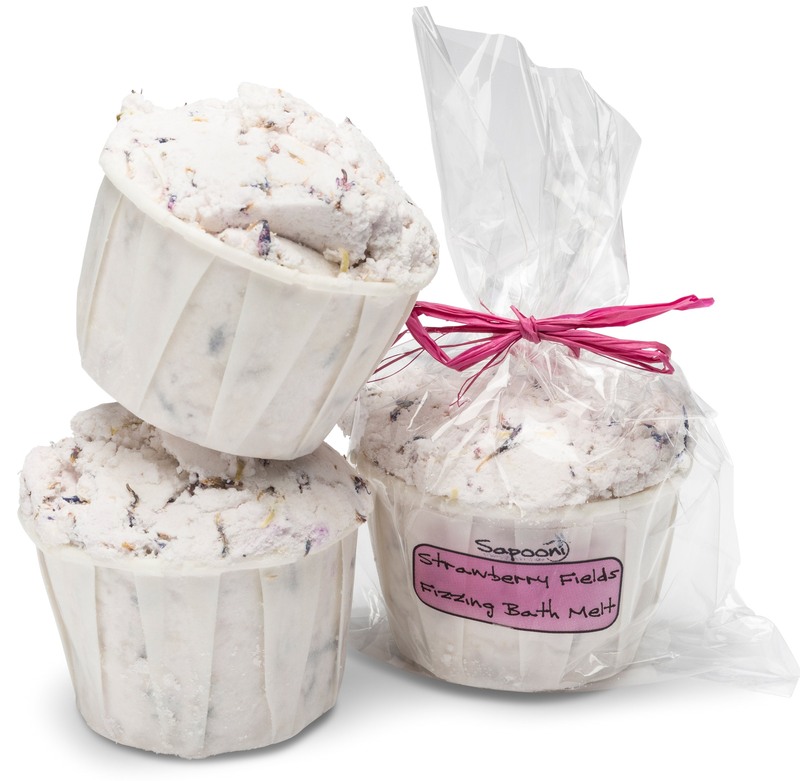 Our bath melts are little pots of bathtime loveliness; gorgeously scented, they soften the water as they fizz away, adding oodles of cocoa butter to the water, which will leave your skin feeling really soft and pampered. To use, simply pop the whole pot into a hot running bath and watch the melt slowly mingle with the water. Enjoy a lovely long relaxing soak; but do take care when getting out, as it may make your bath and/or feet a wee bit slippery. Cocoa Butter; A wonderful moisturiser, especially for dry, itchy or chapped skin. We add oodles to all our Melts. 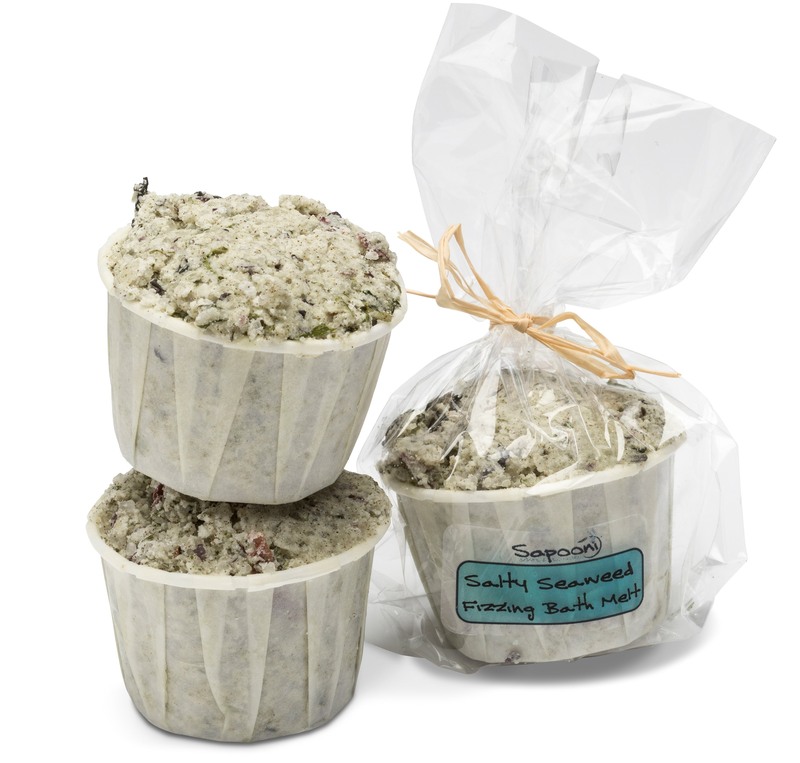 Dried Jasmine flowers; A generous handful scattered into the mix, to bring an exotic touch to your bathtime. Jasmine and Vanilla Fragrance; we use an allergen-free fragrance oil, reminiscent of the heady scent carried on the breeze on a warm summer evening.